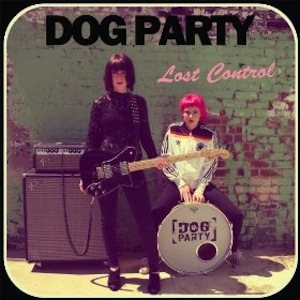 Dog Party is a two-girl buzzsaw punk band from Sacramento. Their latest LP, Lost Control, is the moment where they come into their own and show that they’re ready to take on the world. Coming off like Bleach’s younger, surlier sisters, Gwen and Lucy Giles have been balancing school and life with the band for some time now, spending their summer vacation crisscrossing the U.S. in anticipation of the new record. Following up their 2011 full length, P.A.R.T.Y. All Night, Lost Control grabs the attention from the outright, showing a gift for crafting a miniature, (think Waxahatchee), like opener “How Are You Doing”, that captivates and weighs in under a minute, but still feels like a whole statement. Rough pop gems litter the record, with “Flamingo Go”, “Jet Pack” and the title track being the pick of the litter, intoxicating beyond measure. A blast of feedback heralds their sure-footed cover of X’s “Los Angeles”, although the sour taste of the lyrics remains. Finishing on a high note, “The World Is Not A Game”, from their 2009 self-titled EP, reappears here in much crunchier form, before giving way to the acoustic “Alright”, suggesting that there’s little limit to where they’re heading.